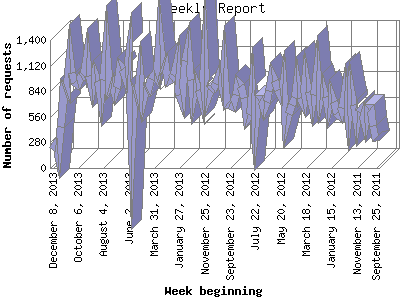 Most active week beginning March 17, 2013 : 634 pages sent. 1,359 requests handled. Weekly average: 385 pages sent. 825 requests handled.